Being out in the garden is a great source of happiness for many people. But one of the few things that can quickly turn gardening into a stressful experience is insect problems. 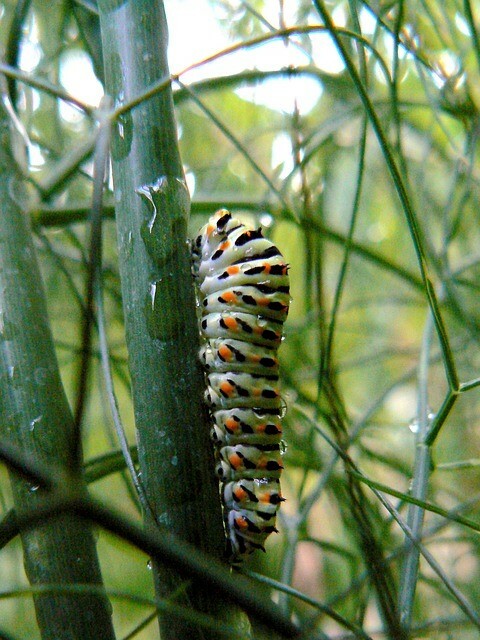 Check out these garden insect control tips and tricks. Nip your garden insect issues in the bud now (pun intended) so you can get back to doing what you love! The plants that are most prone to insect infestations are typically stressed in some way, meaning they are not in their healthiest condition. To prevent insect problems in the first place, it's best to maintain good plant health. Proper fertilization, watering, and healthy soil are all key in keeping plants healthy. However, if you do find yourself with a pest problem, the following garden insect control tips can help. Weeds typically aggravate the issue of insects in the garden, since they provide an alternate food source and hiding place for bugs like whiteflies and slugs. You can simply pull the weeds out by hand to help control unwanted insects in your garden. There are also some natural herbicides you can apply. Along with weed control, keeping your garden and yard clean and free of debris will also help with garden insect control. Do not leave cut tree limbs or plant debris in the garden. Damaged and/or freshly cut plant material tends to attract unwanted insects. Sticky traps can catch all kinds of pests from flies to cockroaches and even some mice. Most products are safe even for indoor use. Consider installing a screen around your garden if you're experiencing recurring insect issues. You could also try applying strips of aluminum foil to protect individual plants from migrating insects such as caterpillars. Sometimes, you just need to use good old-fashioned spray for proper garden insect control. Luckily there are many organic sprays you can use that won't harm your family, animals, other plants, or the environment. When you go to pick up your insect spray, just make sure the main active ingredient is one of the following: Spinosad, Bacillus subtilis, Azadirachtin. We hope these tips help you get rid of those nasty bugs that are destroying your garden once and for all! Evergreen Turf is your source for the highest quality sod in Arizona. Our friendly, knowledgeable people are committed to answering all of your questions to ensure a stress-free experience with your new Arizona sod lawn. Whether you wish to sod a small play area for the family or an entire golf course, Evergreen Turf can help you make it happen. Our team serves customers throughout Arizona, including Phoenix, Mesa, Tempe and Tucson. Check out our Frequently Asked Questions and our Spring Transition page for more spring lawn care advice, or give us a call at 480.456.1199 if you don't find what you are looking for. Have a specific question about your lawn? Email us at info@evergreenturf.com. Better yet, stop by and meet the team at our convenient Chandler location.